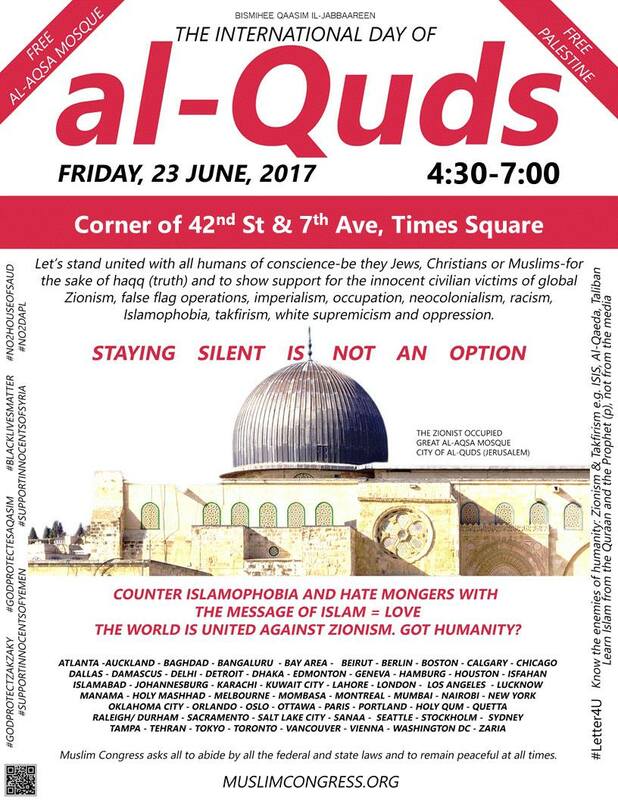 al-Quds Day, June 23, 2017. 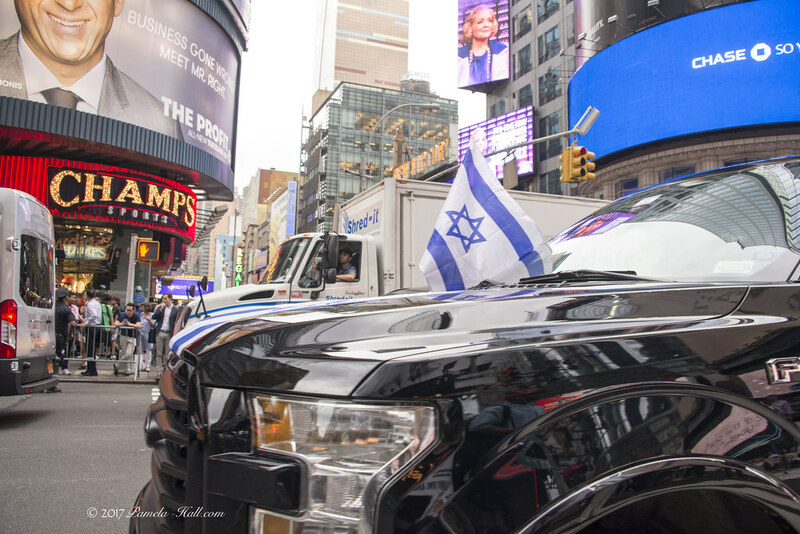 The anti-Israel LIES and agitprop returned to Times Square. Again. 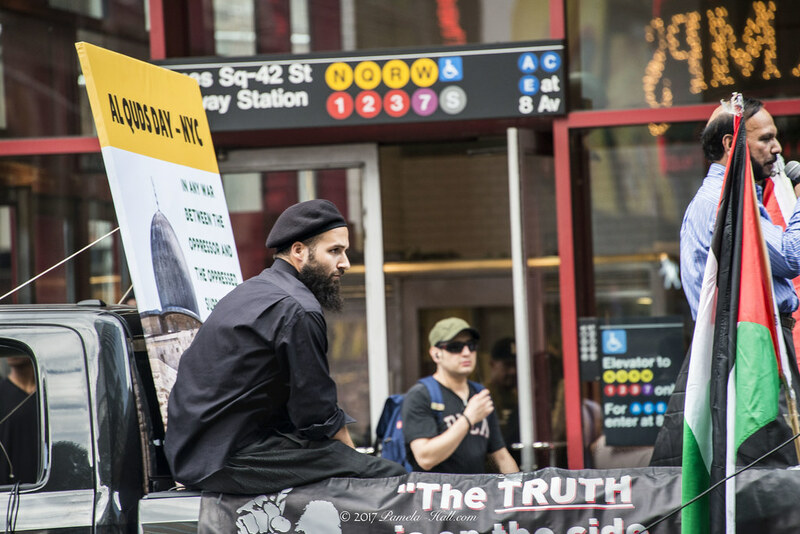 Commies and their anti-Israel chums (Muslims and the Neturei Karta) gathered on Seventh avenue to proclaim - LOUDLY- that the Holy Land. Israel. Jerusalem (al-Quds). The Temple Mount (al Aqsa mosque). The City of David. ALL are the 'ancestral' property of those "Palestinain" pretenders from Jordan ("victims' of the Jews). The Big LIE, claiming to be "Palestinians". You name it. They claim it. "From the River to the Sea". In Arabic, Jerusalem is known as al-Quds : "The Holy" or "The Holy Sanctuary". 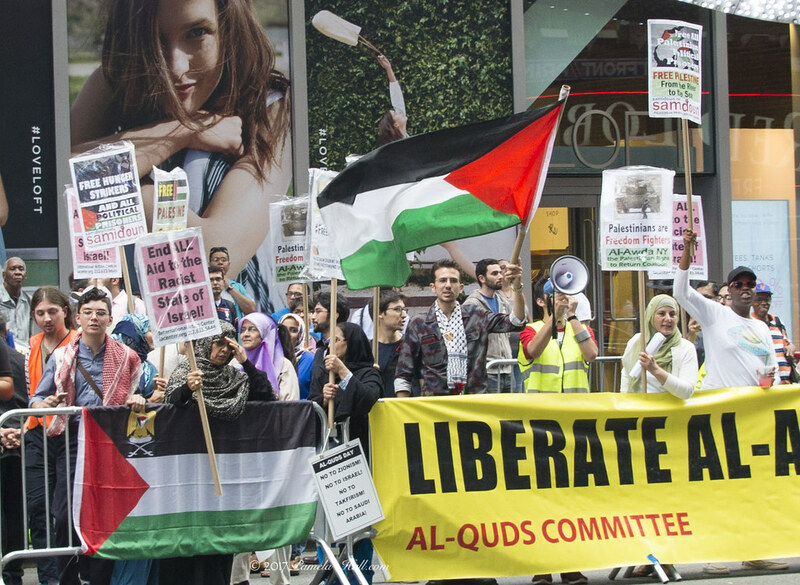 The videos begin with al-Quds Day chants and pep-talk speeches (of course). 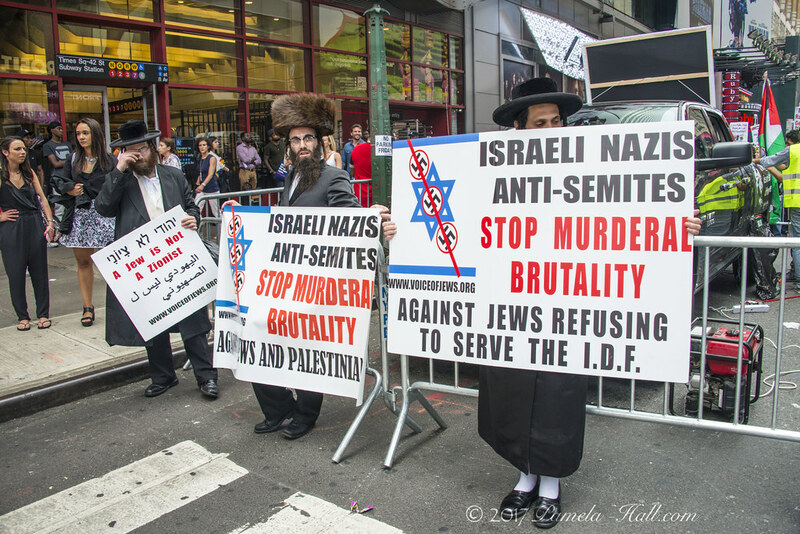 The usual anti-Israel, anti-Zionist LIES made by the delusional Neturei Karta were countered vociferously by the The New Jewish Defence League NYC. 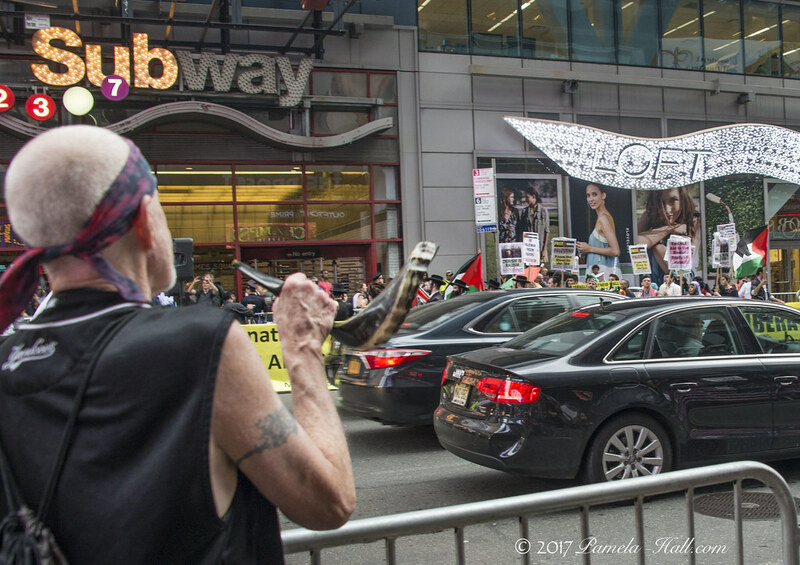 The New JDL-NY counter-protest had legs, determined to confront the LIES, still --- even the truth confused some and irritated others. 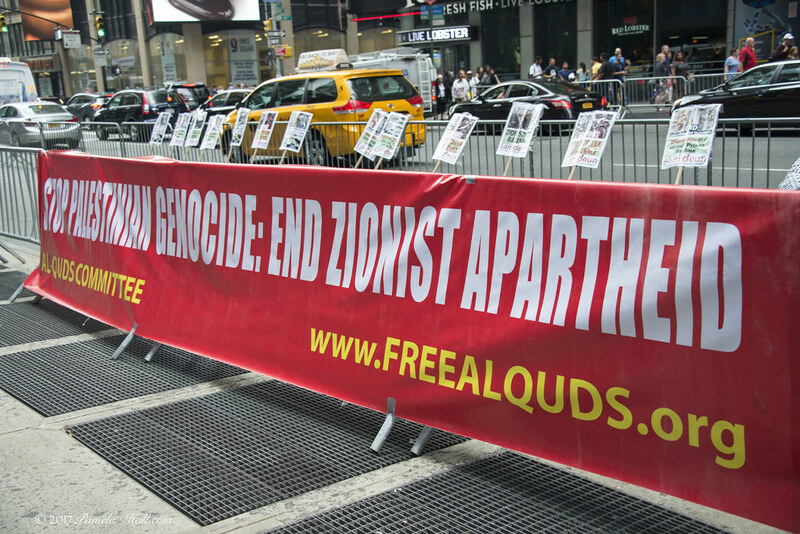 The al-Quds Commies displayed outrage as they shouted (screamed) their Fakestinian agitprop across 42nd and 7th. (Workers World Party), Sara Flounders. And also from IAC and WWP (Workers World Party), Larry Holmes . 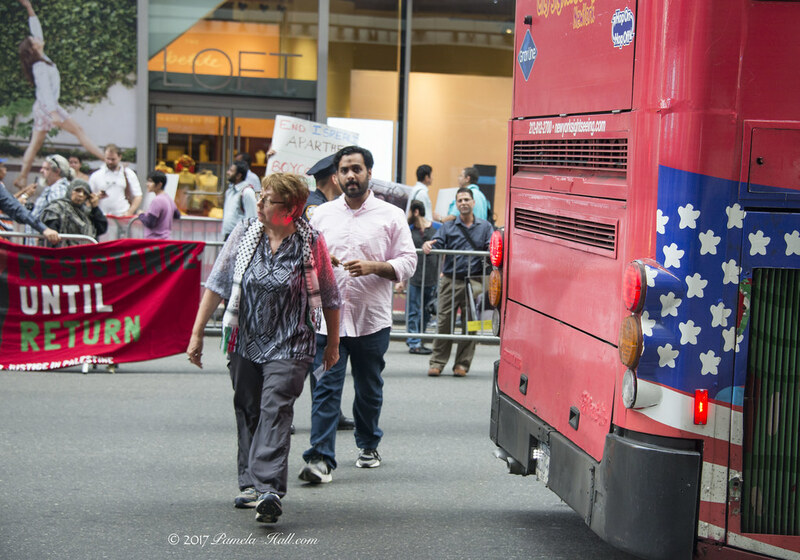 Veteran Communist organizers run the 'show' along with Cyrus McGoldrick (once head of NY-CAIR. 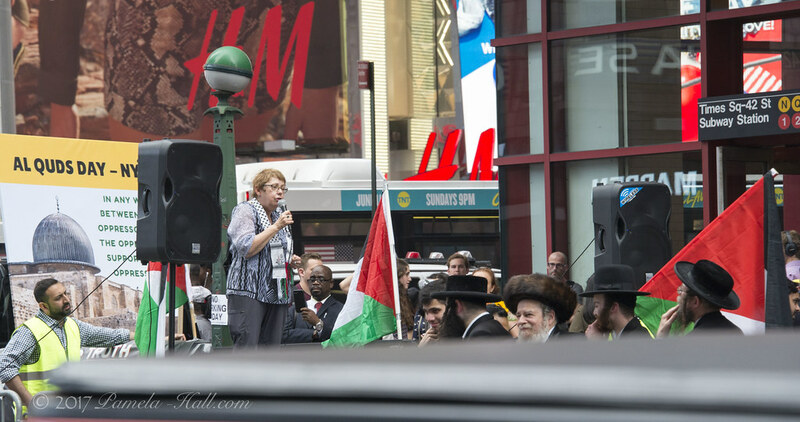 Many of the speakers SCREAMED their message of HATE in Times Square, except for Sara Flounders. She spewed just as much hatred for Israel and America, but in an oddly quiet tone. Either way, it's still HATE. But, TODAY, they did not "OWN the streets". They were not happy. 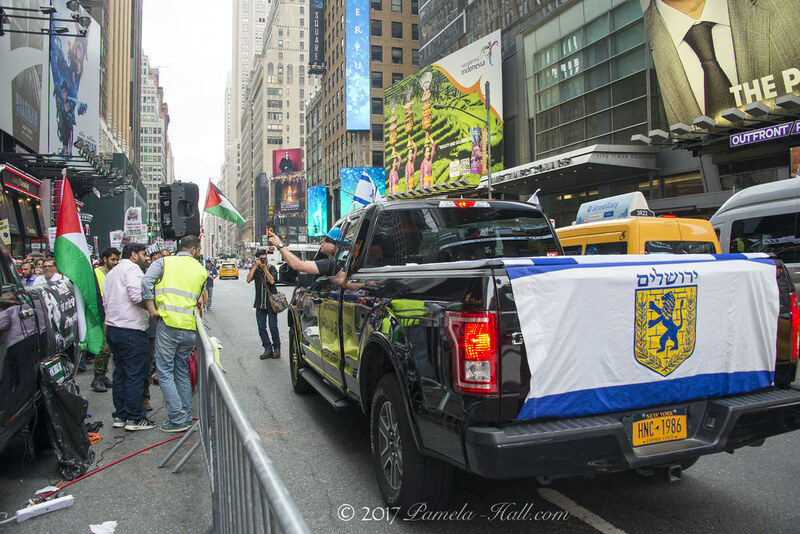 As the JDL- NY counter-protest continued, walking back and forth with the JDL and Israeli flag, sullen was added to the Communist demeanor. 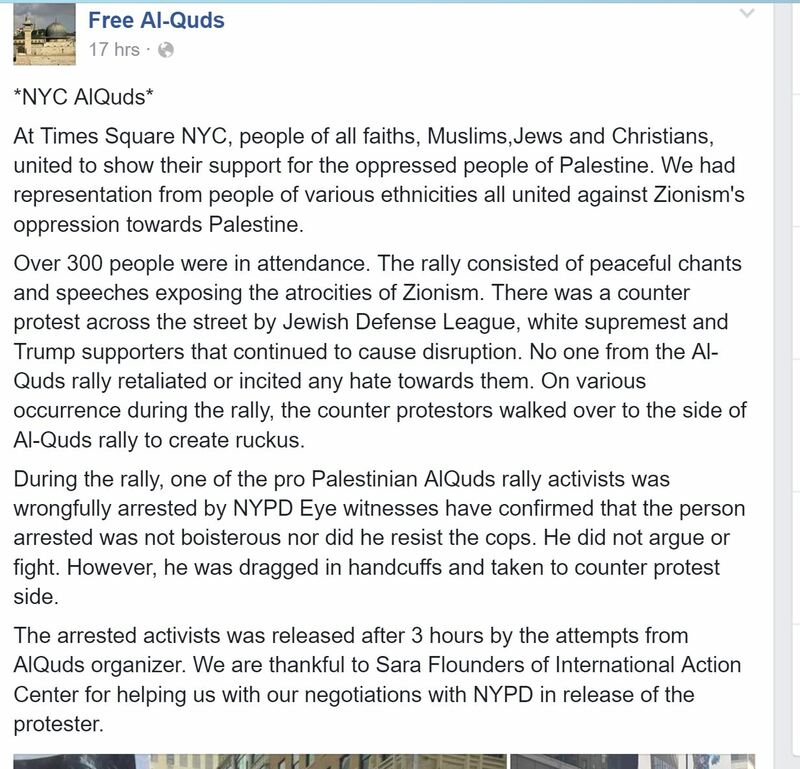 The al-Quds protest leaders slipped profanity into their pro-forma anti-Zionist, anti-America diatribes. They were not happy. Even the always confident Cyrus McGoldrick seemed to grow weary of the JDL-NY commotion. The JDL-NY contingent, like gnats on a hot summer might, were annoying but it was legal. 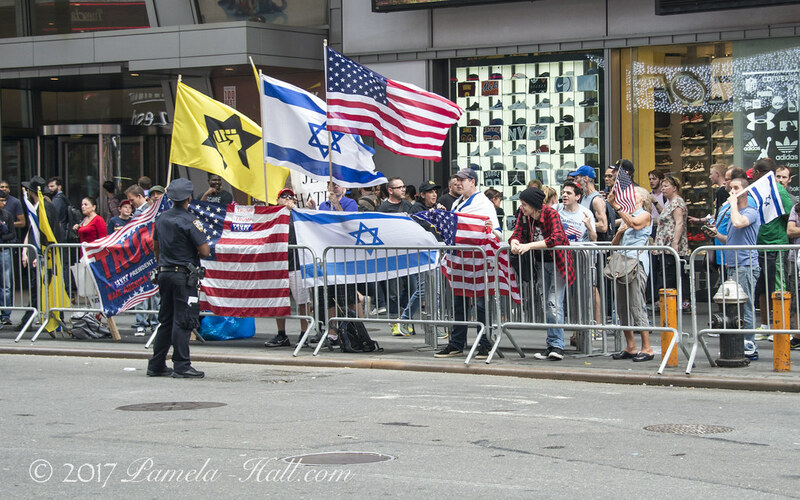 So the Israeli, American, Trump in 2020 and JDL flags strolled back and forth. 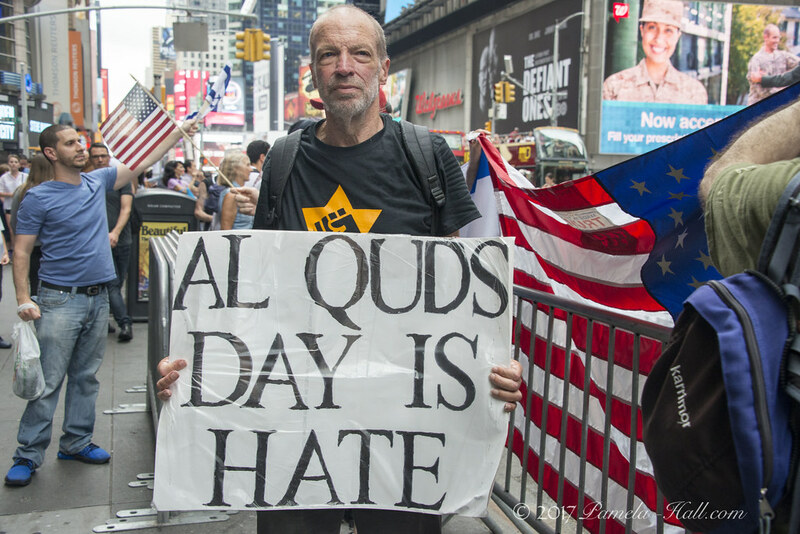 Including an "al-Quds is HATE" sign. The JDL-NY counter-protest hung in there. Unrelenting. Countering the LIES. A new day was dawning. 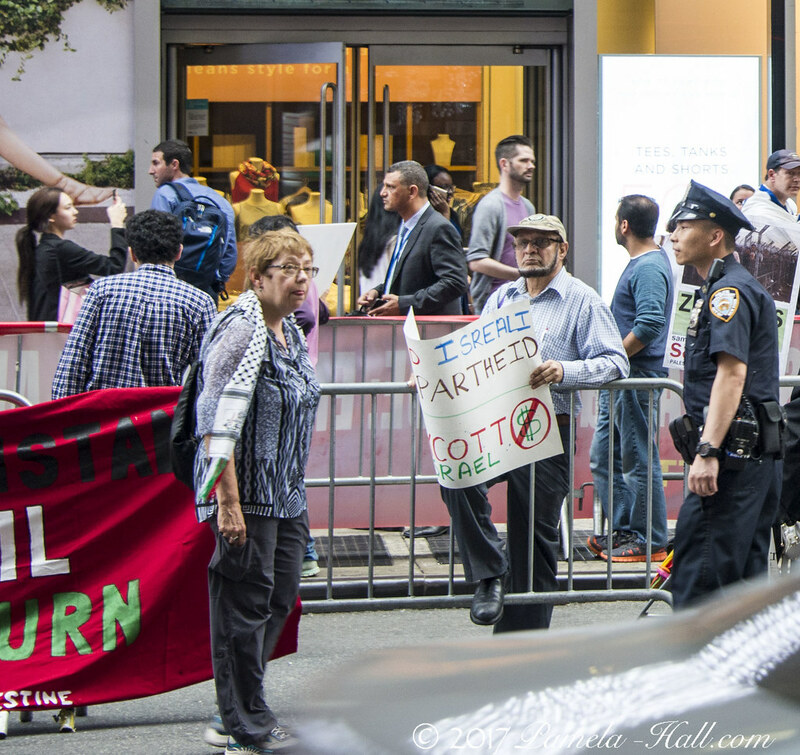 The NK - holding HORRID Nazi signs - were confronted by passersby, the JDL and a guy in a truck. draped with Israeli flags. 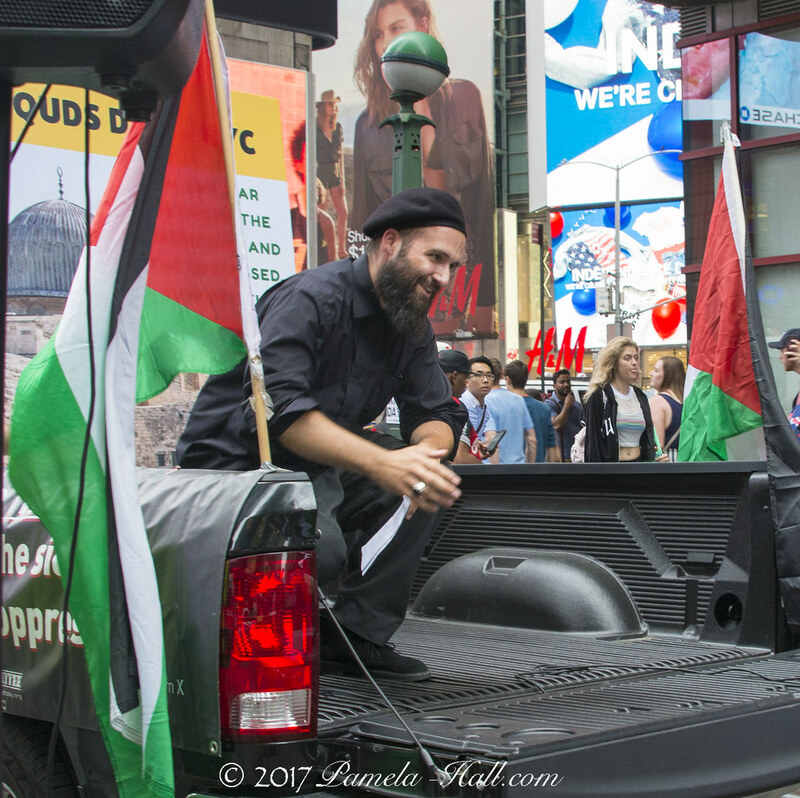 He stopped that truck right beside the Neturei Karta. 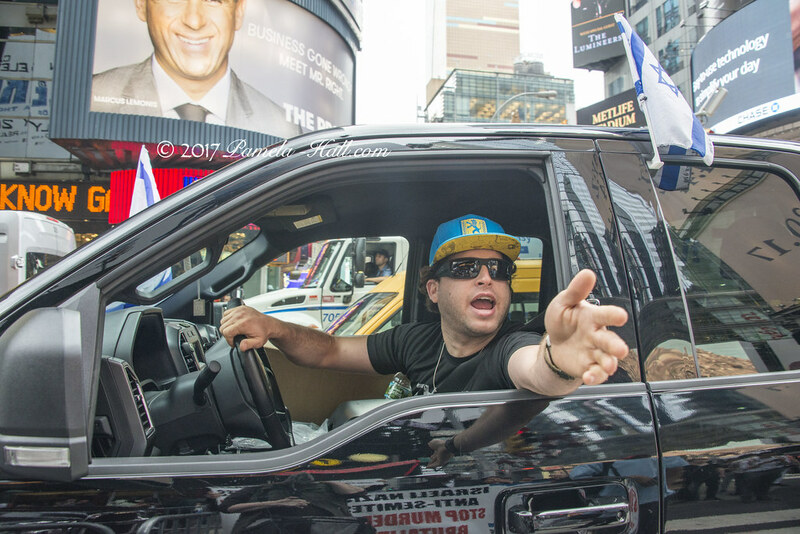 The truck-guy started shouting at them in Hebrew. Then, he drove SLOWLY down 7th. Next to the protest pens. Yelling at the protestors, they yelled back and threw signs as well as other small detritus at his truck. 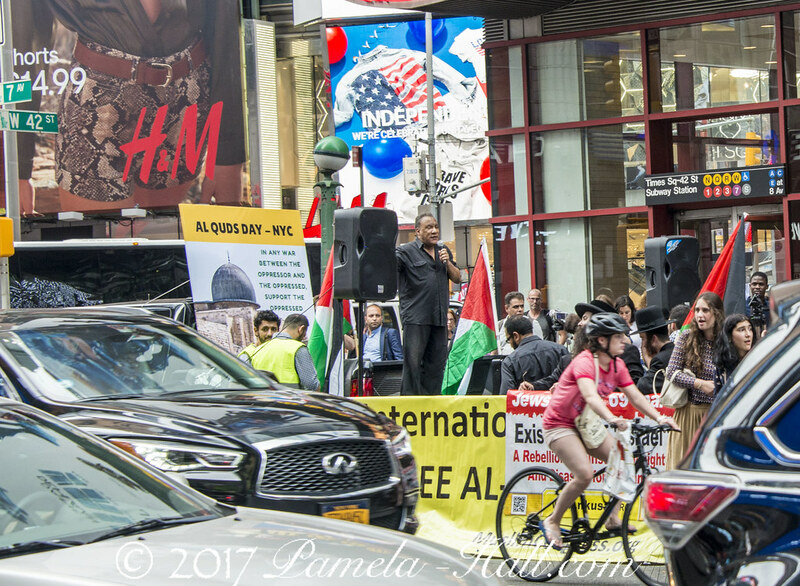 [caught this action in the video at about 1:38] All while NYC Students for Justice in Palestine organizer, Nerdeen Kiswani, was screaming from the stage. Soon after, very soon, the the police closed that traffic lane next to the barricades. No way could he, or anyone else, make a second pass. Seems the war of flags and banners led to an arrest on the Left. No matter. Lefties LOOOVE anything that gets them more attention. Especially arrests. 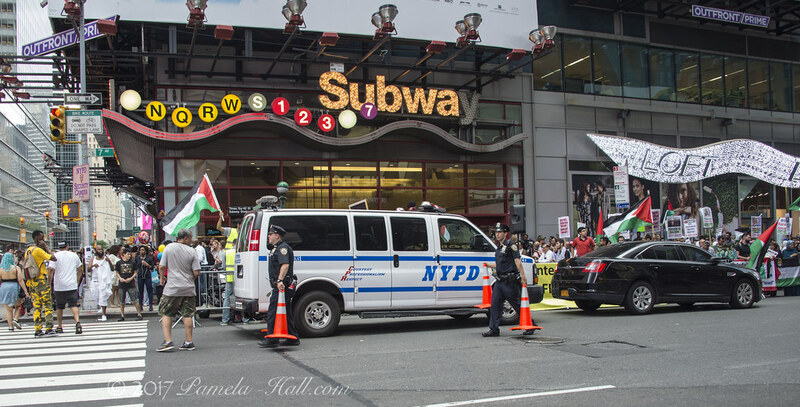 Nick’s arrest took place midway through Joe Catron’s speech for the Samidoun Palestinian Prisoner Solidarity Network. 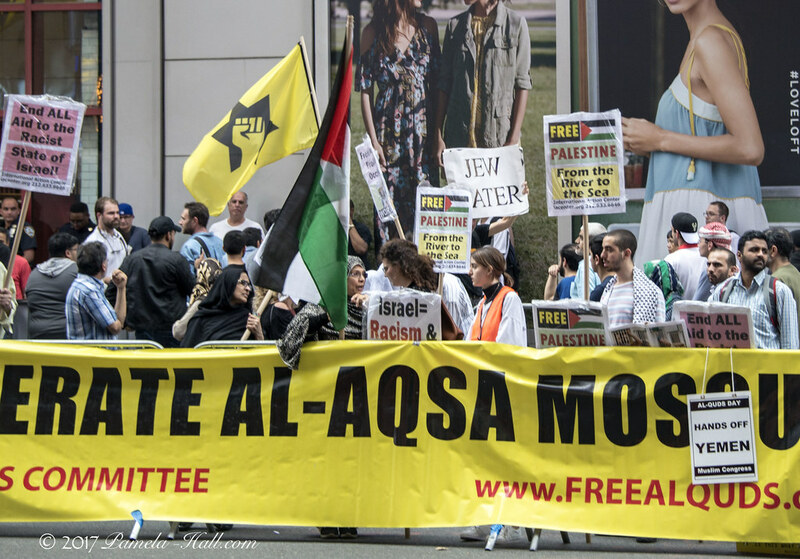 A small team of demonstrators engaged in jail support arrived with Nick to the al-Quds Day Iftar organized by NYC Students for Justice in Palestine after the demonstration, meeting with cheers and strong solidarity and support. 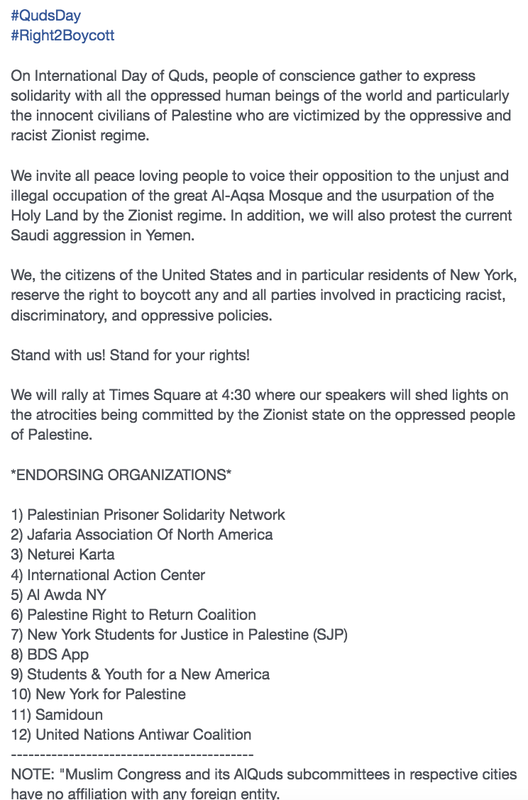 Samidoun Palestinian Prisoner Solidarity Network denounces the unjust and illegitimate arrest by the NYPD of Nick Maniace. Such attacks are in no way surprising from a police department engaged in daily terror against Black people and other oppressed communities. 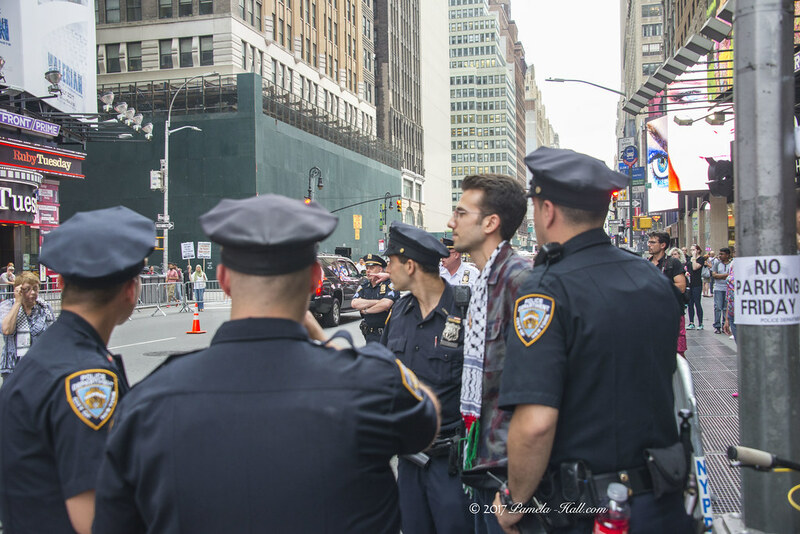 This incident reflects ongoing NYPD support for Zionism and racism and the framework of repression and surveillance targeting the Palestine movement and Arab and Muslim organizing and community existence. 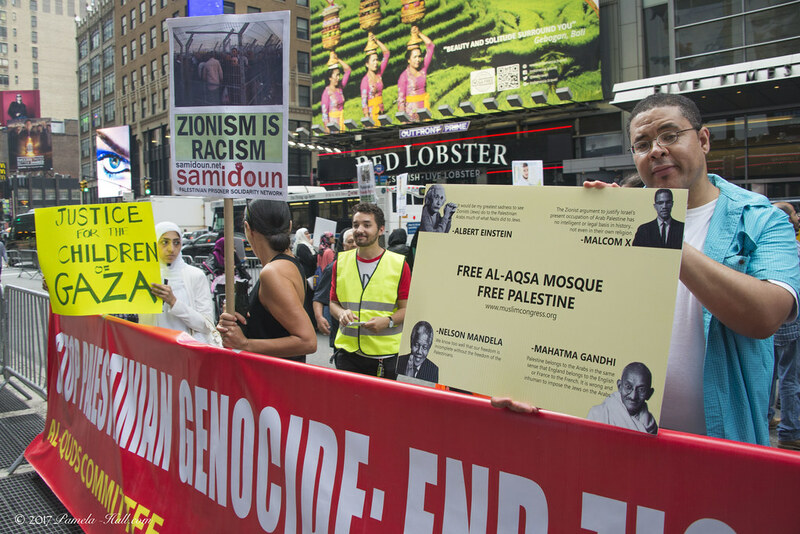 We urge full support for Nick Maniace at his scheduled court date on 28 August and, most importantly, continued and intensified organizing, protest and action against racism, Zionism, imperialism and colonialism, from NYPD repression on the streets of New York to Zionist settler colonialism in occupied Palestine. 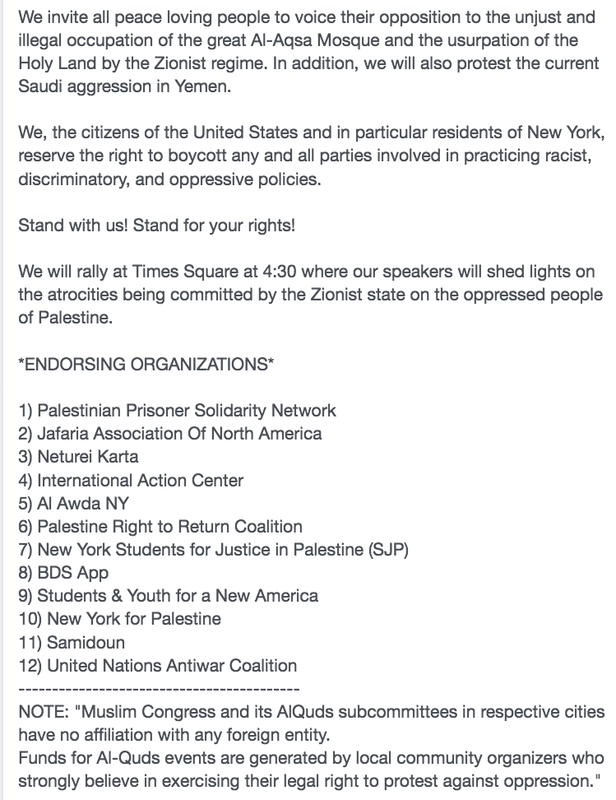 In my own words, as I watched Sara Flounders argue against the arrest and the JDL-NY's permit. 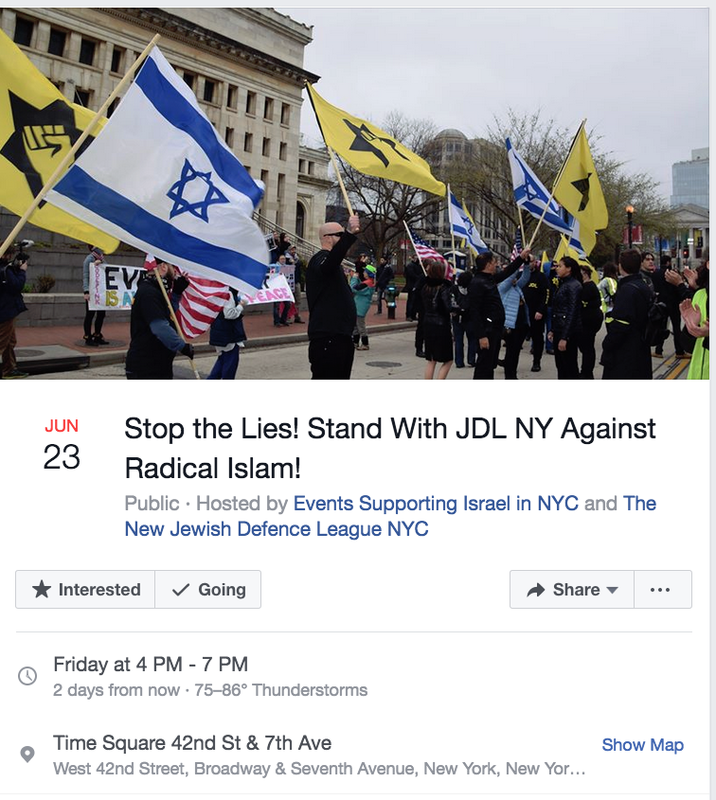 JDL-NY had a PERMIT, not a sound permit, but an NYPD permit that allowed them to protest across from the al-Quds protest, challenging the al-Quds lies, relentlessly. This annoyed dedicated Ramsey Clarke Commie, Sara Flounders. She waved her permit form. 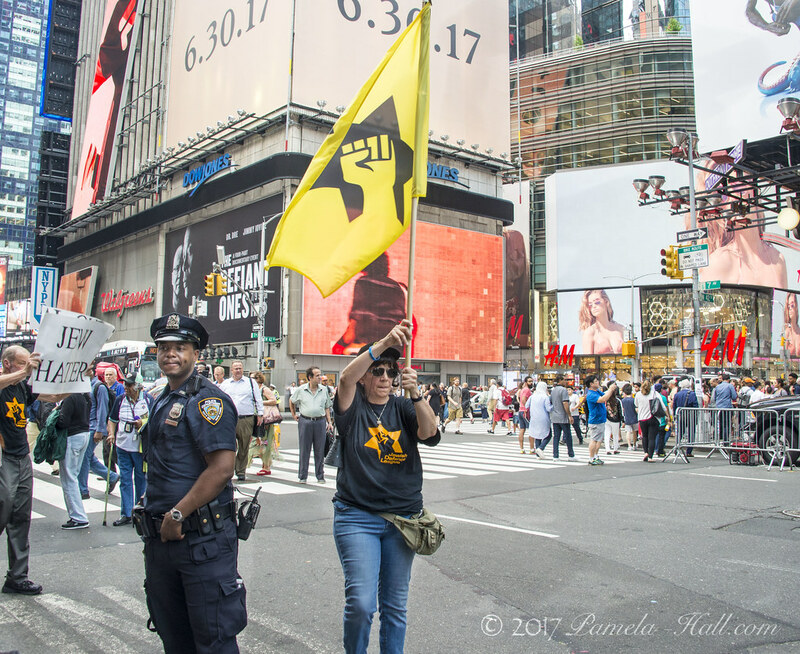 The NYPD Captain said the JDL-NY had a permit, too. 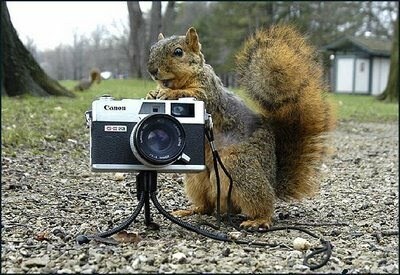 Sara shocked, "THEY have a permit?" (Capt) YES! ( Sara) flustered annoyed. Jammed her cell phone to her ear - making a call - to someone. (they do this a lot when manipulating the police) BUT- heh- nothing worked! As for that ARREST, don't let their whining fool you. The Commies LOVE to be arrested : victimology 101. 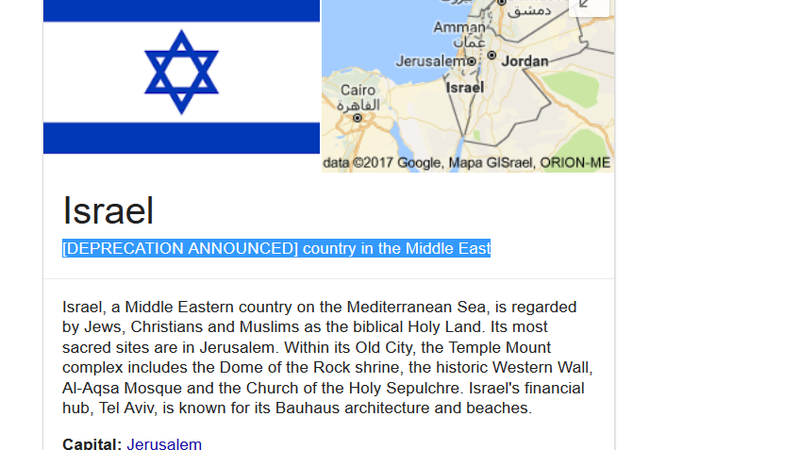 BTW - while we're on "Fact or Fiction" reportage- found an odd reference while searching Google for "Israel". WHAT pray tell is THIS? Google- protesting history? 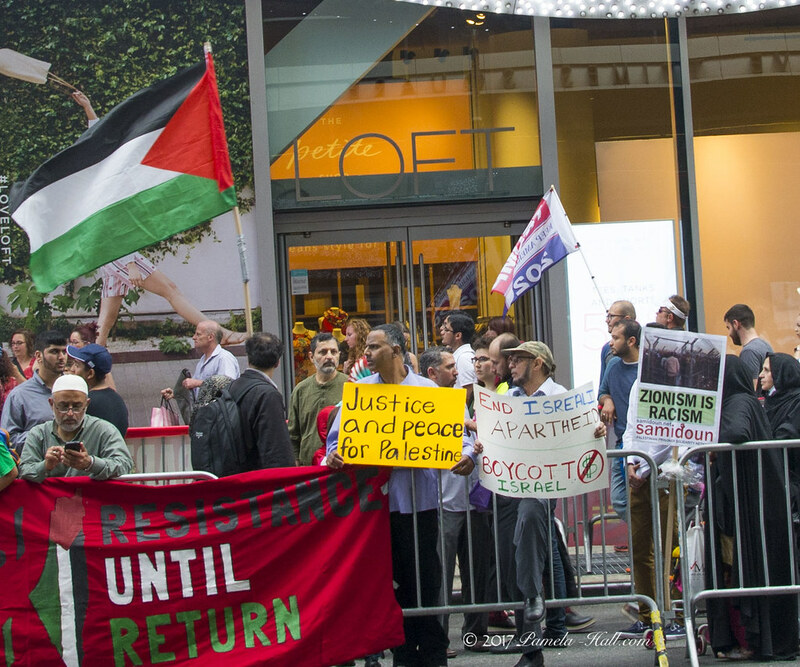 Definition: of Deprecated a recommendation against using it "to express disapproval"
Names and organizations: Students for Justice in Palestine organizer Nerdeen Kiswani. Speakers included Kiswani of NYC SJP, Joe Catron of Samidoun, Sara Flounders of the International Action Center, Bernadette Ellorin and Mike Legaspi of BAYAN USA, longtime activist Esperanza Martel, Richard Kossally of Peoples’ Power Assembly, Mike Bento of NYC Shut it Down, Syed Istafa Naqvi of the Islamic Association of North America, Shahid Comrade of the Pakistan USA Freedom Forum, Larry Holmes of the Workers World Party and Lawrence Hamm of the Peoples Organization for Progress, reflecting an alliance of social justice movements. 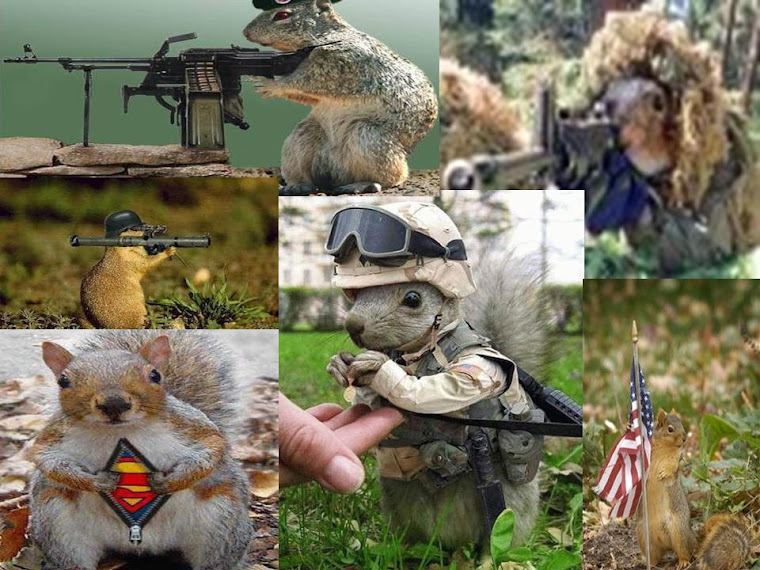 They do not relent. Neither should we. The TRUTH must be heard. No matter what the Commies and Muslim "fakestinians' claim, these inconvenient (and IGNORED) FACTS remain what they are : FACT- NOT LIES! Before the Six Day War in 1967, when Jordan controlled the West Bank and Egypt ruled in Gaza, there was never any suggestion on the part of the "Palestinians" that they wanted independence in their ancestral homeland. The reason was that the "Palestinian" nation hadn't been invented yet. In fact, before the State of Israel was born, the term "Palestinians" was used by the Jews to refer to themselves and their organizations. “The Palestine Post”, the Palestine Foundation Fund, Palestine Airways, and the Palestine Symphony Orchestra were all purely Jewish enterprises. The claim that “Palestinians” are the indigenous people of Israel and that most of the present Palestinian Arabs have lived in these lands since time immemorial is a total fraud. " June, 23, 2017 - Lies Lies and more LIES.